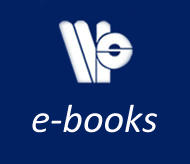 Includes chapters on the hardware used in health monitoring, methodologies, applications of these methodologies (materials, methods, systems and functions), decision support systems, damage detection systems and the rating of bridges and methods of risk assessment.Covers both passive and active monitoring approaches.Offers directly applicable methods and as well as prolific examples, applications and references.Is authored by a world leader in the development of health monitoring systems.Includes free software that can be downloaded from http://www.samco.org/and provides the raw data of benchmark projects and the key results achieved. 1.2 Client Requirements and Motivation. 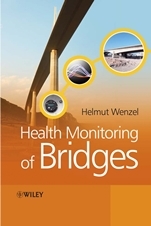 2 Bridge Management and Health Monitoring. 2.3 Examples of Bridge Management Systems. 2.4 Protection of Bridges against Man–Made and Natural Hazards. 3 Bridge Rating and Risk Assessment. 3.3 Probabilistic Approach in SHM. 3.4 Risks from Natural Hazards. 3.5 Vehicle and Ship Impact. 4 Damage Detection and Assessment. 4.1 Weak Point Detection and Fatigue Assessment. 4.2 Condition Compensation in Frequency Analyses. 4.3 Model Updating and System Identification. 4.4 Performance Assessment (Damping, Time–Histories). 4.5 Discussion of the SHM Axioms. 5.1 Decision Support Systems for SHM. 5.4 Monitoring System and Databases. 5.5 Current Status of the System. 6 Lifetime Assessment of Bridges. 6.4 Application Example: Steel Bridge. 6.5 Ongoing Research and Development Projects. 7.2 Deflection and Displacement Monitoring. 7.3 Fatigue Assessment by Monitoring. 7.4 Corrosion, Carbonization, Chlorite Content. 8 The Business Case for SHM of Bridges. 8.1 Incentives for SHM of Bridges. 8.2 The Costs of SHM of Bridges. 8.3 The Future of the SHM Business. 8.4 Typical SHM Service Catalogue. 9.1 Melk Bridge M6 Austr ia. 9.2 Porr Bridge, Vienna, Austria. 9.4 Putlitz Bridge, Berlin, Germany. 9.5 Westend Bridge, Berlin, Germany. 9.6 Neisse Viaduct, Zittau, Germany. 9.7 Commodore John Barry Bridge, Delaware River, USA. 9.8 Bridge BE 109/21, B¨utzberg, Switzerland. 9.9 RAMA IX Bridge, Bangkok, Thailand. 9.10 Titulcia Steel Bridge, Madrid, Spain. 9.11 Széchenyi Bridge, Gyor, Hungary. 9.12 ESK 551 Bridge, Bad Bevensen, Germany. 9.13 The New Årsta Railway Bridge, Stockholm Sweden. 9.14 The New Svinesund Bridge, Sweden. 9.15 Bridge Z24, Koppigen–Utzenstorf, Switzerland. 9.16 Roberval Bridge, Senlis, France. 9.17 Saint–Jean Bridge, Bordeaux, France. 9.18 Øresund Bridge, Denmark – Sweden. 9.19 Ting Kau Bridge, Hong Kong, China. 9.20 Skovdiget Bridge Columns, Denmark. 9.21 Skovdiget Bridge Superstructure, Denmark. 9.22 Bolshoj Moskvoretsky Bridge, Moscow, Russia. 9.23 Versoix Bridge, Geneva, Switzerland. 9.24 Tsing Ma Bridge, Hong Kong, China. 9.25 A14 Huntingdon Railway Viaduct, England. 9.26 Highway Bridge BW91, Germany. 9.28 Pasir Panjang Semi–Expressway, Singapore. 9.30 Tuas Second Link, Singapore–Malaysia. 9.31 Bridge I40, New Mexico, USA. 9.32 Källösund Bridge, Goth Sweden. 9.34 St. Marx Bridge, Vienna, Austria. 10 Feedback from Monitoring to Design. 11 Guideline and Recommendations for SHM. 11.2 Objectives and Outline of the Guideline. 11.3 Analysis of Structural Responses. 11.6 Qualifications of Test Personnel. 11.7 Sensor Classification, Application and Experience. 11.8 Traffic Load Identification on Bridges. 11.9 Condition Monitoring of Heritage Buildings. 11.10 Identification of Local Damage and the Effect on Structures. 11.11 Damage Identification of a Steel Bridge by Dynamic Parameters. 12 Glossary and Derivation Criteria for SHM of Bridges. 12.1 Glossary of Terms Frequently Used. 12.2 Mathematical Formulations in Dynamics. 12.3 Wind–Induced Vibration of Bridges.